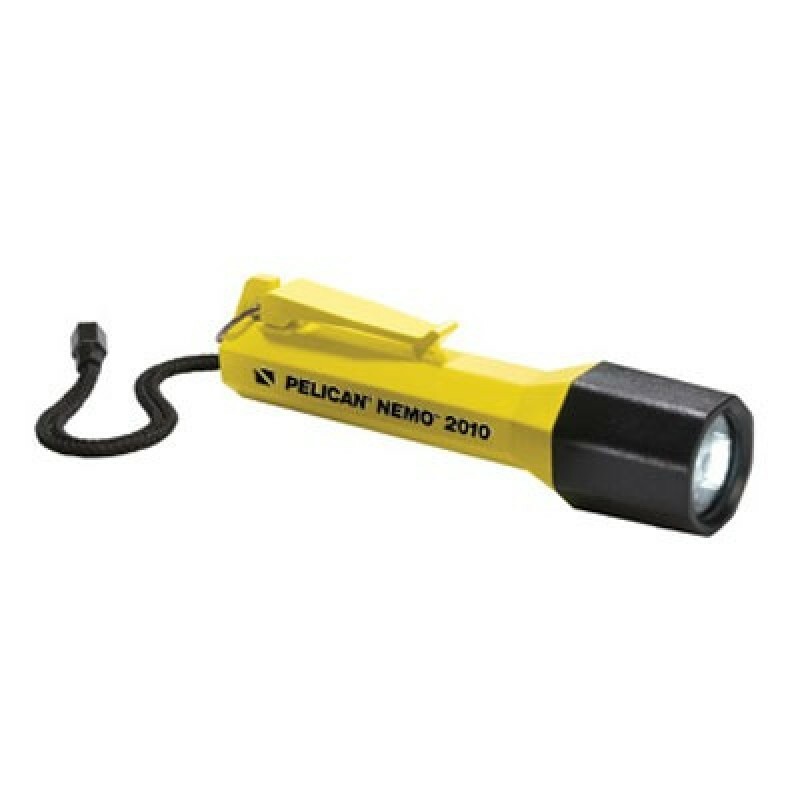 The Pelican Nemo 2010 Recoil LED is their flagship LED flashlight. Recoil LED Technology produces a white collimated beam that's as bright as an incandescent light and provides 10,000 hours of lamp life and extended battery burn time. The rugged, light weight ABS resin body is submersible to 500 feet and a twist on/off lens shroud eliminates accidental discharge. It is powered by 3 C alkaline cells. The Pelican Nemo 2010 is the future of LEDs. Nemo Series lights feature a double o-ring seal design and are designed for underwater use. Engineered with the brightest and most efficient bulbs and LEDs, the new Pelican Nemo lights are designed to offer maximum run time and visibility for extended underwater adventures. Their industrial-strength polymer construction makes them nearly indestructible and keeps them shining through punishing conditions such as a fall from a wheel house to the deck, onto the rocks or into a cargo hold.